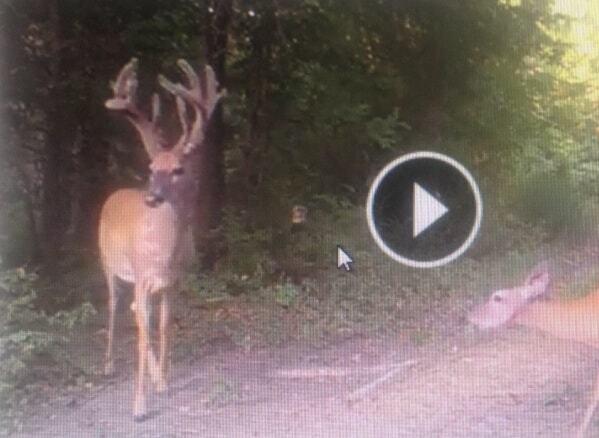 Adam at Hickory Creek in Kansas got some video of this cool buck with his DLC Covert Scouting Camera. This is a still image from that footage. I’ll name that giant for them right now: “High & Tight.” Love the look of that rack! This entry was posted in BigDeer, Trail Camera Photos by admin. Bookmark the permalink. I’d take high and tight over short and wide any day. Awesome! a crack at him this year he might grow even more trash. Agree that his body doesn’t look that old, but look at that mass…unless he’s in a pen getting pumped full of hormones, I don’t think a younger buck could grow bases like that. I honestly don’t know, though…anyone? Love that kind of rack. He might not be a legal shooter in Texas though. I use to have a tall girlfriend I called the same thing! Beautiful looking buck.